As the last month of 2015 dawns in a flurry of gift-wrapping and cocoa-drinking, prediction lists start their steady creep across the internet, with every technology prognosticator, online marketing expert, and social media blogger clamoring to forecast the potential state of our digital world in 2016. We used to star tweets we like. Now we “heart them.” Soon we’ll be able to express a full range of (cartoon) emotions. 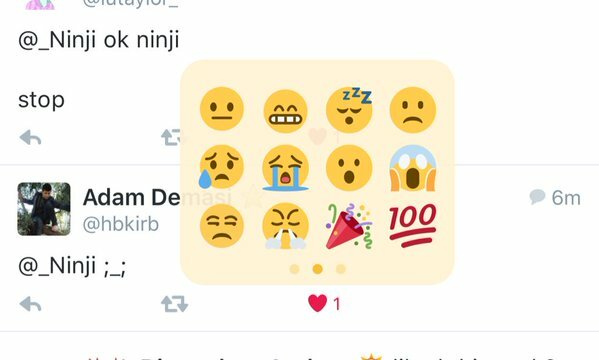 Twitter is experimenting with an emoji reactions tool. Why? Emoji are incredibly popular the world over, and are more likely to hook a younger crowd than traditional icons. Expect this feature to become widespread in the first half of 2016. Twitter has always skewed young. To retain this vital demographic and ensure its continued growth, Twitter will roll out more interactive features. In addition to emoji, Twitter will further develop its poll feature and branded event emoji, the latter of which has already been used by Coke, Star Wars, Taylor Swift, and Starbucks. A significant amount of customers turn to brands on Twitter to answer customer service queries. In fact, many bigger players have hired employees dedicated solely to social media to meet this need. Twitter has evolved to make it easier for businesses to interact with their customers by removing direct message character limits (previously limited to 140) and instituting quote tweets, which allow users to track relevant conversations. The next step? A streamlined platform catering to customer service, possibly even a form of artificial intelligence-driven assistant service. Earlier this year, Twitter acquired AI provider Whetlab, so clearly something is in the works. Facebook is making a big push to keep its users on its site, rather than following links to other sites. 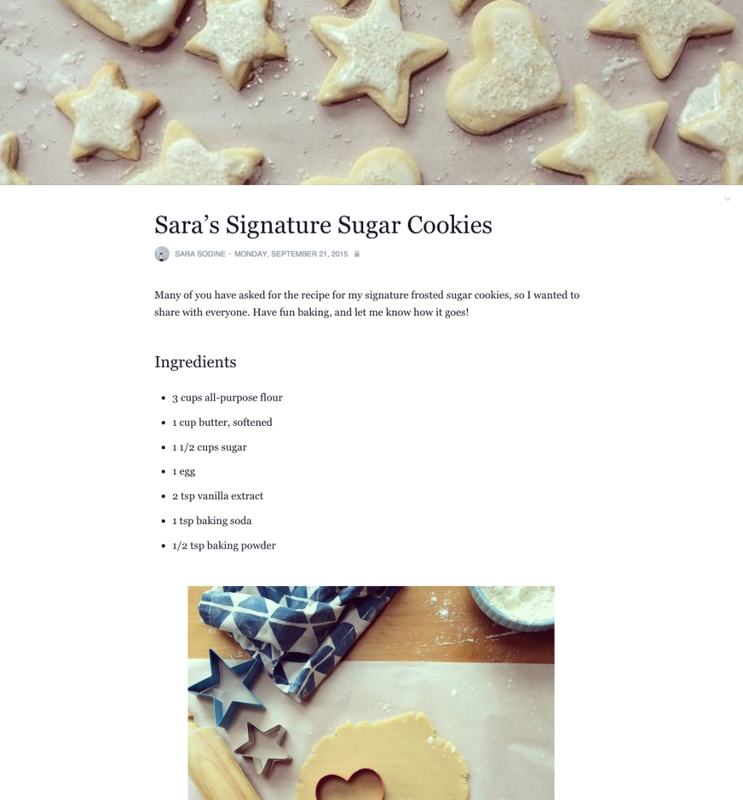 Its newest features include Instant Articles – posts uploaded directly to Facebook (reducing load time and giving creators access to new tools like in-post video) – and on-platform blogging with its revamped Notes. With a new focus on aesthetics and customization, the new Notes (screenshot above) is a big improvement over the bare-bones style of the previous version. Last year, Facebook made headlines with its $2 billion purchase of virtual reality startup Oculus VR. While the first Oculus headsets will soon be available, virtual reality will take time to become truly transformative technology. In 2016, we’ll likely see VR take its first baby steps on Facebook with more 360-degree videos and the rise of VR gaming. We’ll probably witness a greater impact from VR in 2017. Pinterest launched a very clever search tool this month (apparently simply called “our crazy-fun new visual search tool“): You can search a visual element within a pin. Say you’re redecorating and spy a lamp you like in a pin showing someone’s kitchen. 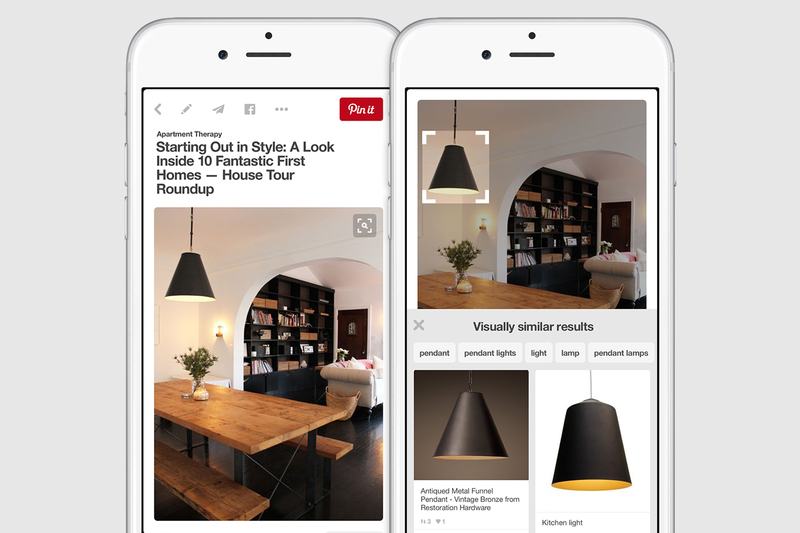 Now, you can highlight the lamp and Pinterest will bring up visually similar items, so you’ll know where to find the it. Pinterest will look to further improve the functionality of its search tools to make them more personal – and useful – than ever, potentially resulting in an uptick in ecommerce transactions. Speaking of ecommerce, this year saw the launch of “Buyable Pins” allowing pinners to buy featured products. As ecommerce and search options expand and become more valuable, Pinterest may develop better algorithms to predict what pinners will want and offer a more streamlined on-platform buying system.